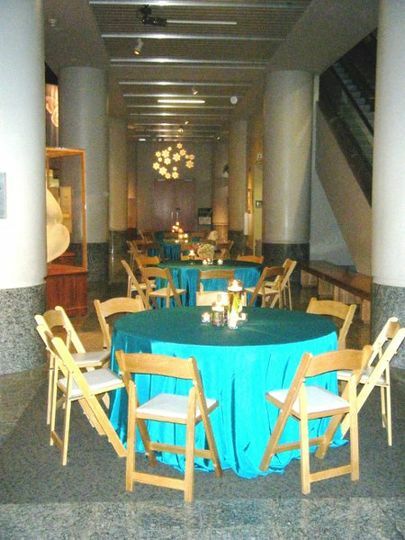 NC Museum of Natural Sciences is a historic wedding venue located in downtown Raleigh, North Carolina. 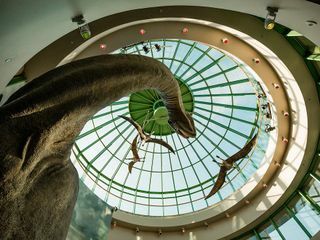 They pride themselves on being the largest natural history museum in the Southeast. 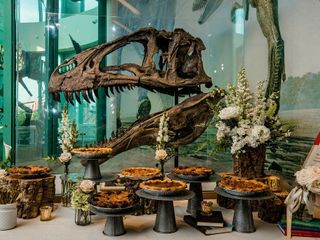 Your guests will experience a dramatic two-story waterfall, a beautiful mountain cove, live animals, whale skeletons and amazing dinosaurs at this one-of-a-kind venue. 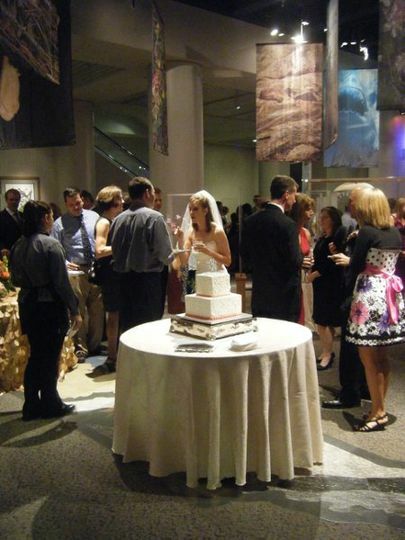 NC Museum of Natural Sciences allows you to support important exhibits, research and educational programs as you host your wedding at their unique location. 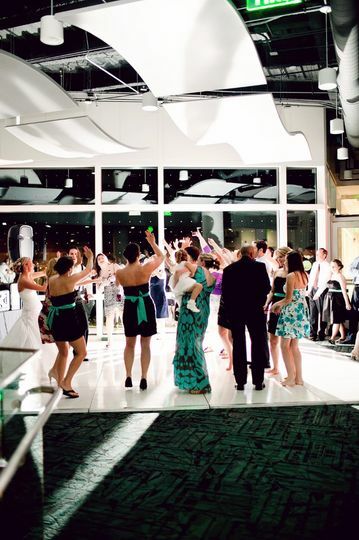 Couples can accommodate up to 2,250 guests at this spacious venue. 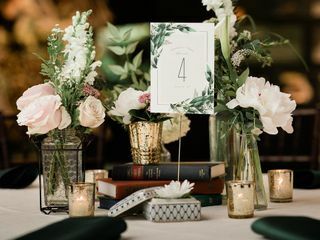 They offer five floors on their Nature Exploration Center and four floors on their Nature Research Center for both intimate ceremonies and grand receptions. Their second floor Featured Exhibition Gallery in their main building is a lofty space that can accommodate up to 625 guests. 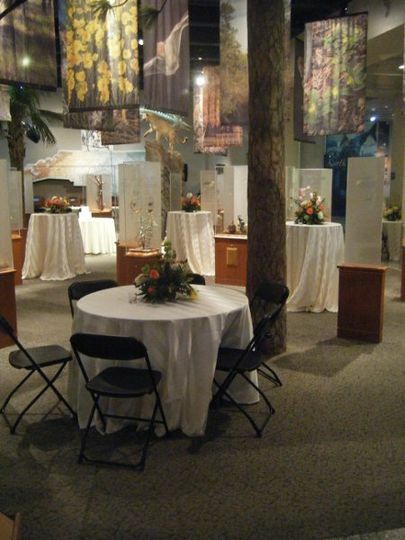 Your loved ones will enjoy the Mountains to the Sea exhibit as you dance the night away. On the fourth floor of the Nature Research Center, you can rent out the spacious William G. Ross Jr. Environmental Conference Center. This expansive space is perfect for lavish affairs. It features custom-made reclaimed wood, three projectors and a catering kitchen. It can easily be divided for smaller weddings, and boasts an outdoor rooftop terrace. 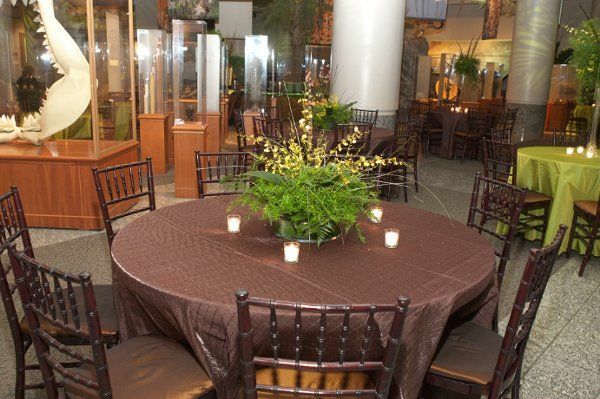 The Museum of Natural Sciences was the perfect choice for our wedding reception! The space was warm, inviting and beautiful which also meant we only needed minimal decorations. 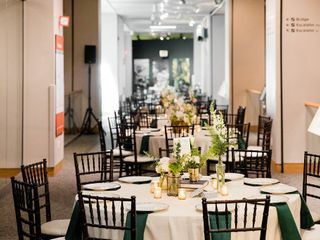 The Nature Research Center was ample space for our 130 guests, 14 round tables, buffet, waffle bar station, and much more. The marble staircase made it possible for the wedding party to make a grand entrance. The Daily Planet provided the most incredible dance floor with soft blue hues highlighting the walls behind the space set up for a DJ. 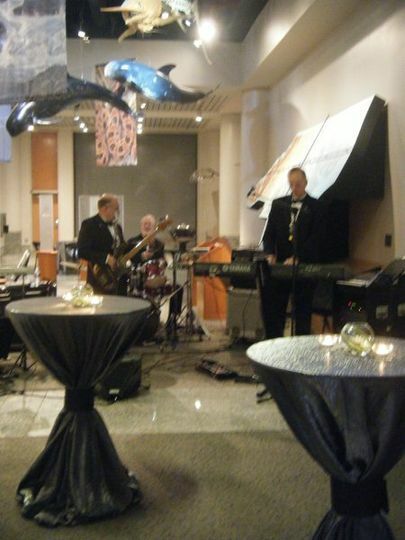 Guests were able to dance, observe from the upper levels, meander through the museum exhibits and mingle with friends. It was a pleasure working with Sydney, we couldn't have asked for a better experience or a better venue. Lora, thank you for the lovely review! It was a pleasure working with you and your family for Brie and Matt's wedding. We look forward to seeing you all at the Museum in the future! 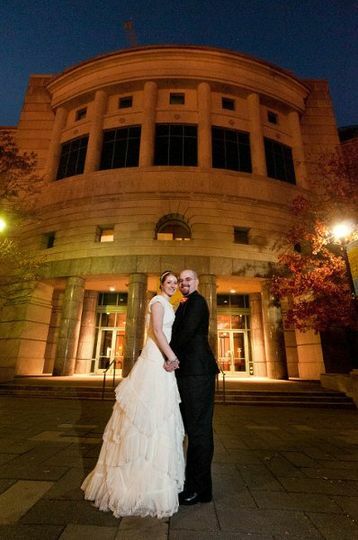 The Museum of Natural Sciences was an amazing place to hold our wedding ceremony and reception. They were able to accommodate all of our requests and were very helpful from the initial tour all the way through the end of our reception. Communication was excellent, and the all of the staff members were courteous and professional. Highly recommend! Wow, what an amazing venue for our daughter's wedding reception! 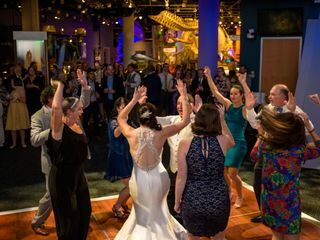 We had planned to have the wedding near our home in Wake Forest, but when my daughter and her fiancé toured the NC Museum of Natural Sciences they were hooked. She's an archaeologist and he's a teacher, so it suited them perfectly. It was also the least expensive of all the venues we looked at. They chose to have it in the Nature Exploration Center (dino dome, not planet) which was amazing. We used The Great Raleigh Trolley to shuttle the guests from the hotel to the reception and back which I highly recommend! The night started with cocktails and hors d'oeuvres on the 2nd floor as well as all the first dances and toasts. Guests enjoyed exploring all the exhibits. Then we all went to the 3rd floor for a buffet dinner and dancing with the dinosaurs. Although I was worried about the layout, it worked out great. There's nothing like dancing with pterodactyls flying above you! We had a wide range of ages that attended, from infants to elderly. All were very happy. Because of the layout, tables could have conversations without screaming and others could be getting crazy on the dance floor. We had 145 guests and the space was perfect. 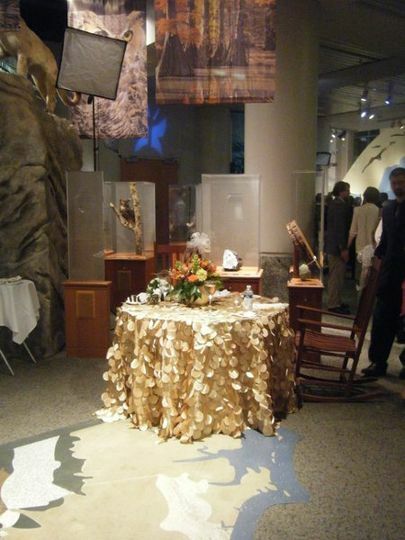 Rocky Top is the sole caterer for the museum and they were fantastic. The food was absolutely delicious and service was excellent. Petal and Oak did all our centerpieces and flowers, they were outstanding! The pies came from East Durham Bakeshop and were delish!! In hindsight, I wish I would have hired some teenagers to chase the little ones around while they explored, just to give the parents more time to visit. 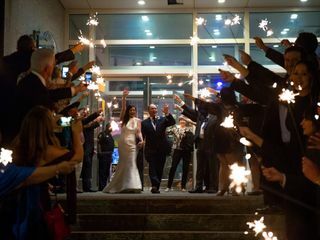 Aside from that, it was fantastic and so many guests said it was the most fun they've had at a reception! Thank you Sydney Bannerman for all you did to make the evening so memorable! 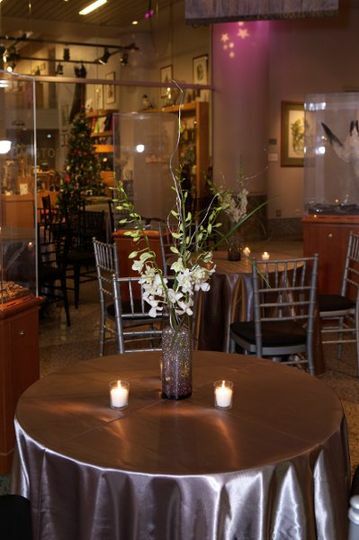 Bethany, Thank you for the kind words regarding your experience at the North Carolina Museum of Natural Sciences for Paul and Shannon's reception! 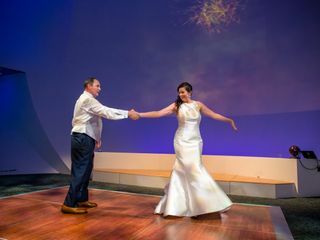 It was an absolute pleasure working with you in anticipation for Paul and Shannon's wedding and we are so glad that everyone enjoyed their time at the Museum! We wish the very best for Shannon and Paul and hope to see everyone return to the Museum in the future. Congratulations to your families and thank you again for such a lovely review!